Bluetooth Low Energy and iBeacon open up a world of possibilities for location awareness. There are countless new opportunities for interactivity between smartphones and BLE enabled sensors. So we thought it would be great to organize a meetup and demonstrate what those opportunities are. 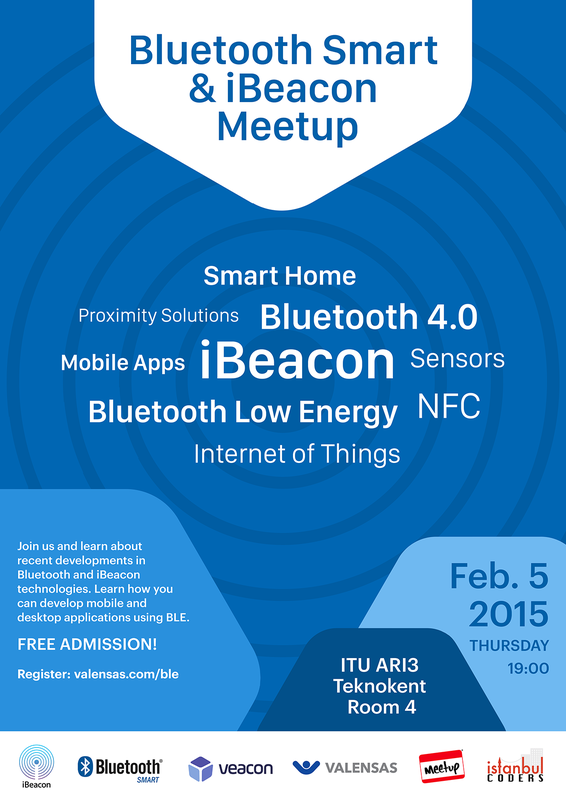 On February 5th, mobile developers, entrepreneurs and electronic engineers will gather to discuss Bluetooth Smart and iBeacon technologies. We will be presenting Veacon sponsored projects (to be shared here later on) and answer as many questions as we can. Save the date and feel free to join us if you’re around. Admission and Pide (Turkish Pizza) is free!